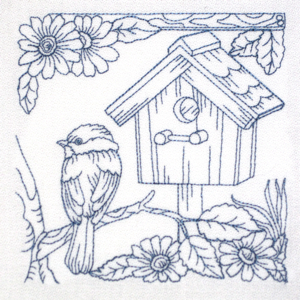 This birdhouse design measures 5x6 and will fit in the 5x7 hoop & others that will accomodate the 5x6 size. 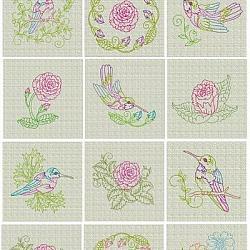 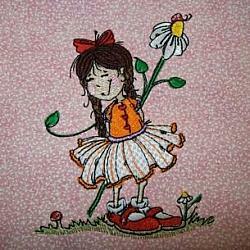 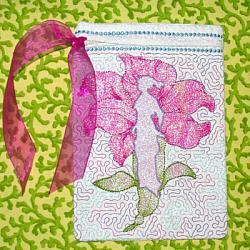 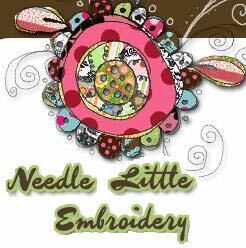 Two files are included, continuous stitching bluework and also done in colorline style for your creative pleasure. 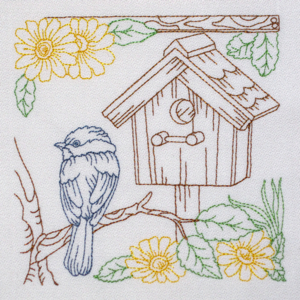 Quick stitching in both versions, this design is great for gift stitching, a wonderful accent for the kitchen on everything from towels to valances, and all the accessories in between and perfect for the powder room too!